Debit and Credit Cards Accepted with no extra charge! No Charge for posting! Valid for 24 Months! More than double any other provider! Period of membership is one year from the date of Purchase. Only the named membership holder may use the membership. 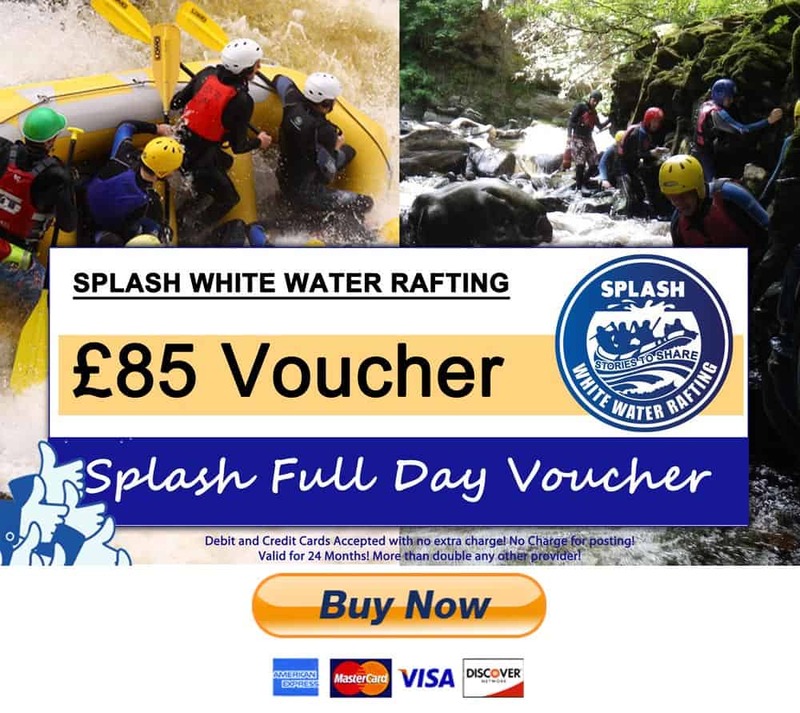 The Splash Half Day Activity Gift Voucher represents a saving of £5 on booking a River Tummel trip direct. Vouchers are valid for 24 months from purchase. 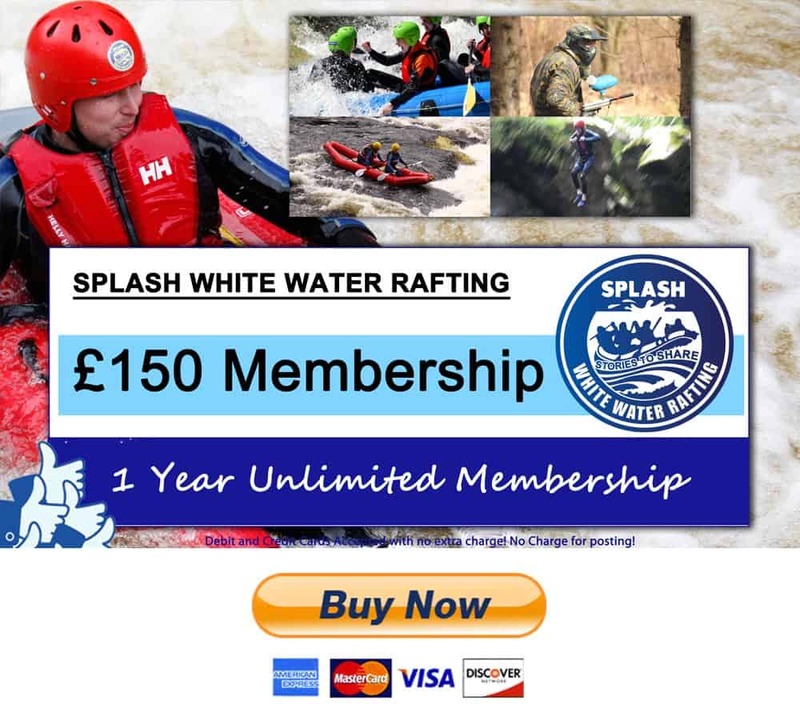 The Splash Rafting experience includes: All gear, Guides per raft, Trip leader, Ops manager on dry land, Bus transport on and off rivers from our base, Professional photography so you leave with over 30 photos of your day, Fun and adrenalin! We cannot be beat on price, quality or value! 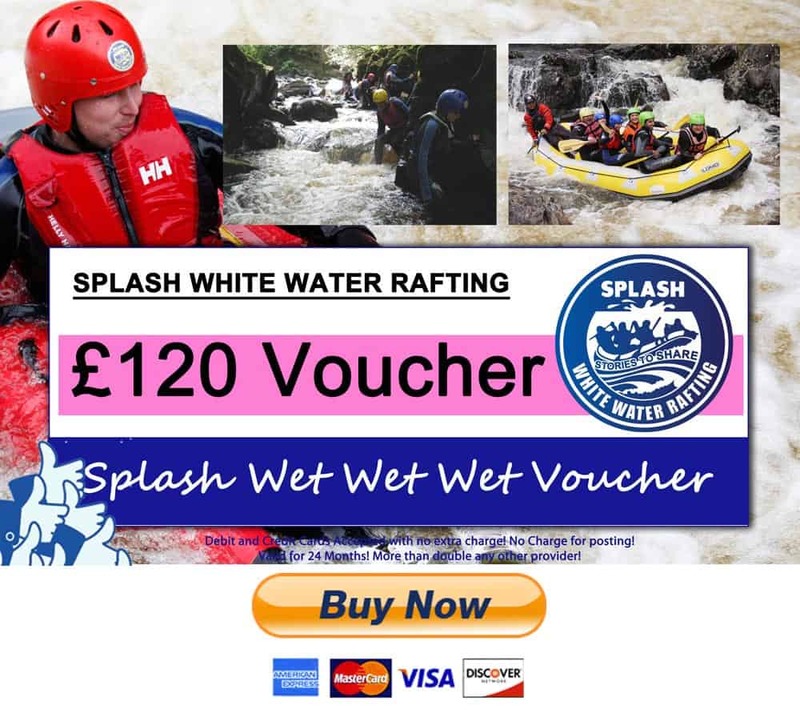 Splash Activity Gift Vouchers offer the best value available on the web. We are the activity provider, not a retailer! Our Adventure gift Experiences are an excellent option for Christmas gifts, birthday presents, corporate and business reward schemes. 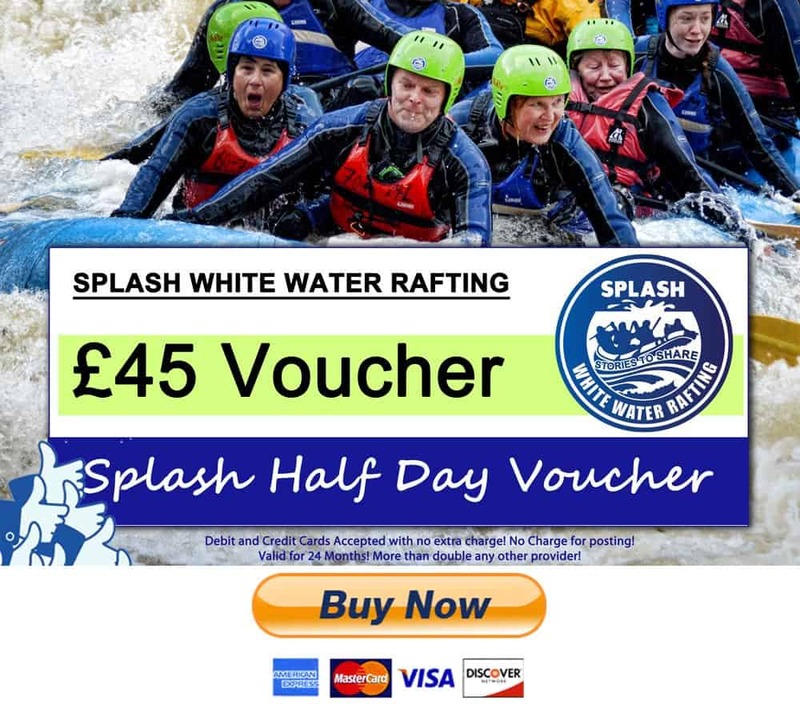 Splash White Water Adrenaline Days and Activity Gift Vouchers are a great way to give someone that extra special present. 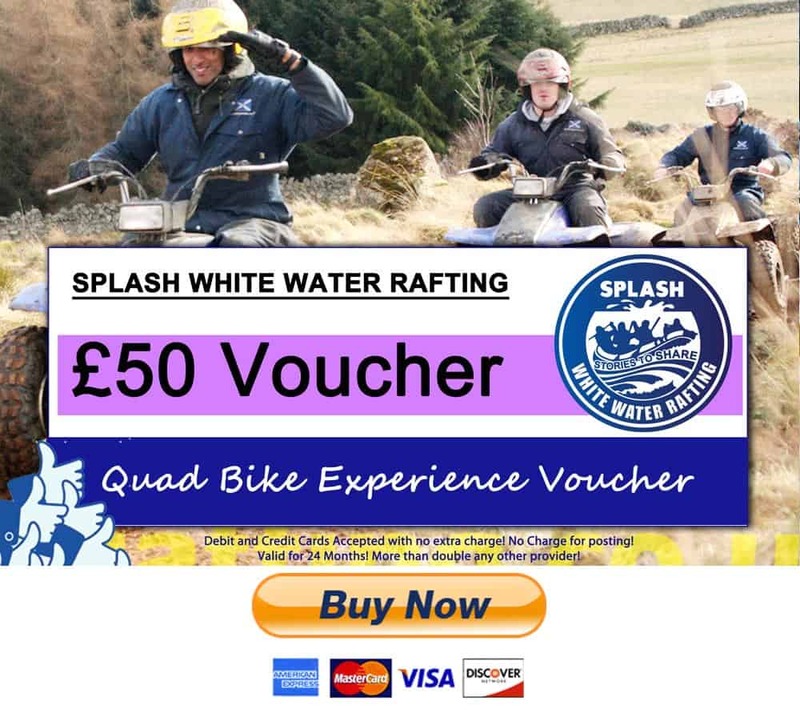 Our Extreme Experience Vouchers are the ideal way to give the gift of adventure. The perfect gift for those family members that have everything, that you are always stuck for what to buy them. Buy them and experience they will never forget !! The vouchers are valid for 24 months from date of purchase and come in several styles. They are suitable for Christmas presents, birthday presents and just about any present! We do not charge postage and they are dispatched first class on day of order. We do not charge credit card fees! For more info on why our Outdoor Activity Vouchers are a good idea check out our blog here. 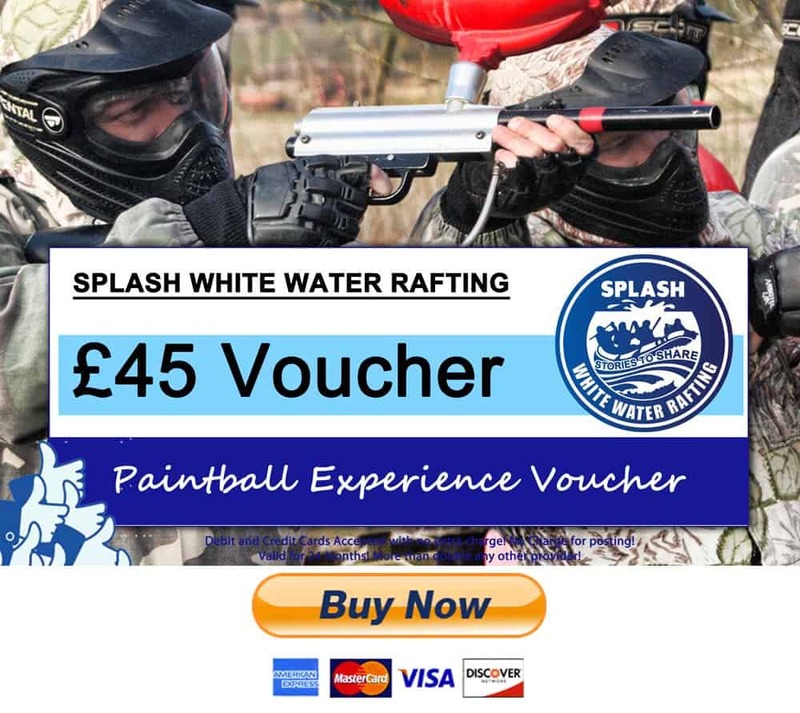 Our vouchers are sometimes called Adventure Vouchers, Experience days, Extreme Activity Vouchers – these are only sold by Splash directly.